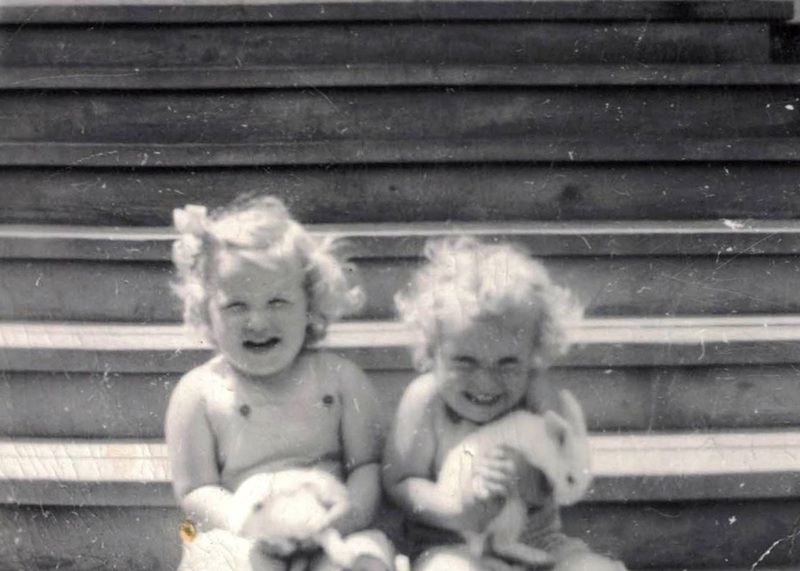 There is so much to say about this railroad family that it is hard to know where to start. But here is a start. This family did not always live here. They were railroad people and followed the job. 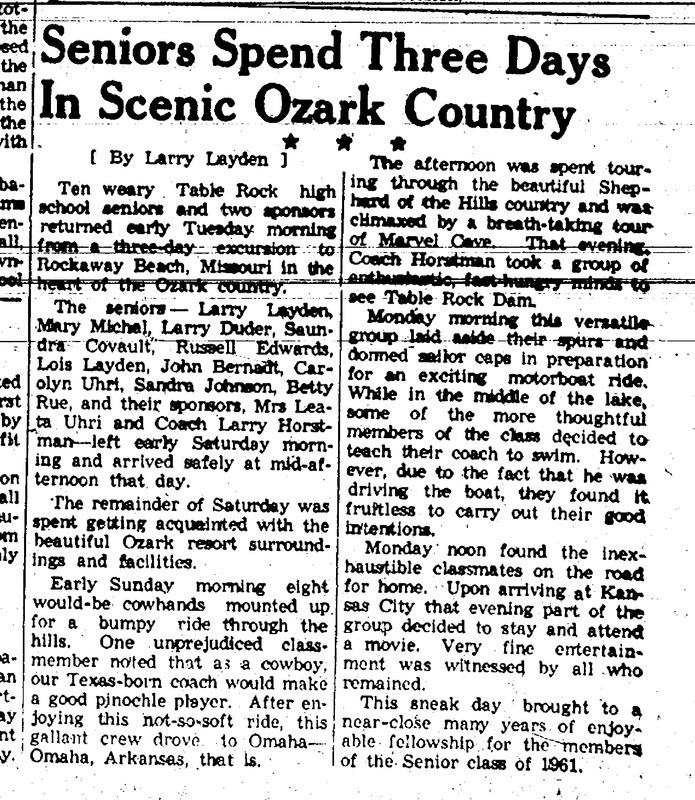 But Table Rock was home and that's where J. C. and Dorothy came to rest. Larry and Lois spent their teenage years here. Lois and her husband Shad returned to Table Rock in the 1990s. Larry visits often. 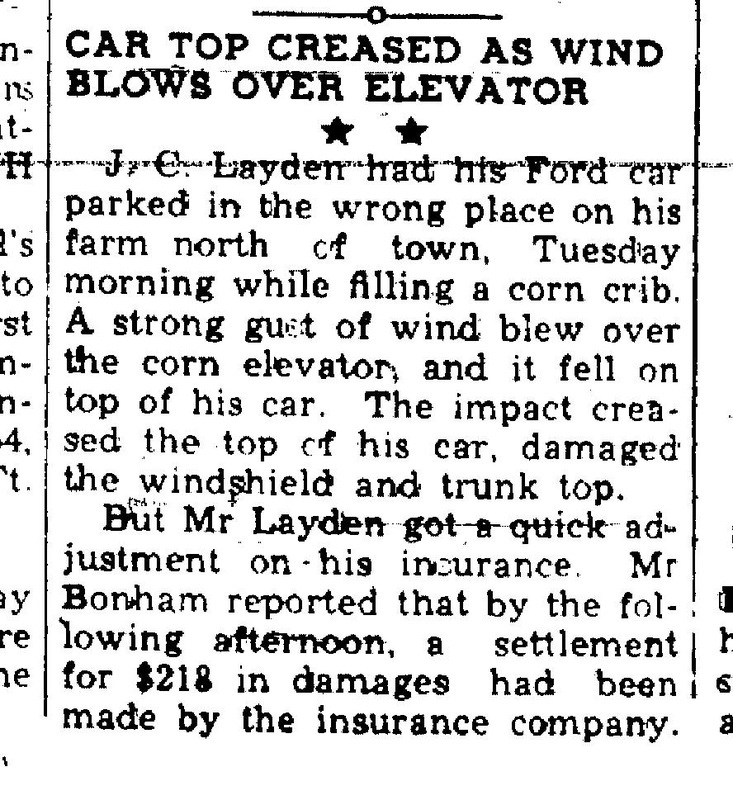 J. C. Layden was a story teller, a lover of history who wrote many many many articles over the years. One particularly important one is a history of the Table Rock Cemetery, which is also on this website. He shared many a story, though. 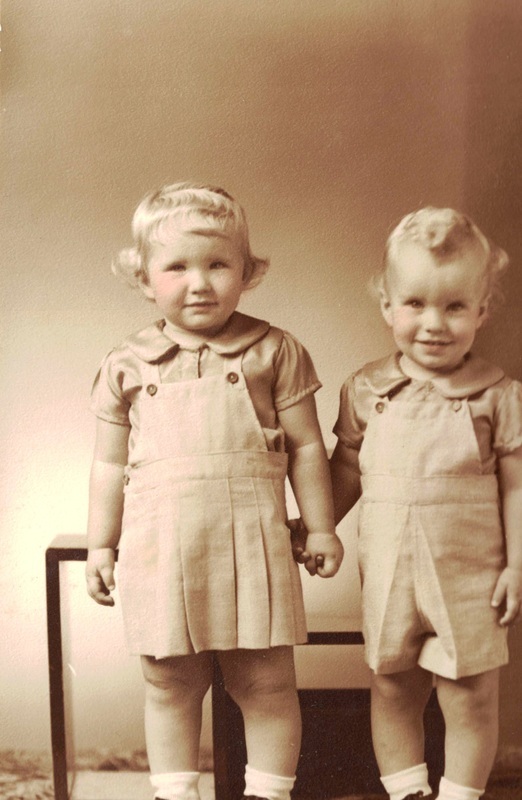 He passed this on to his children, including twins Larry and Lois born in 1945. 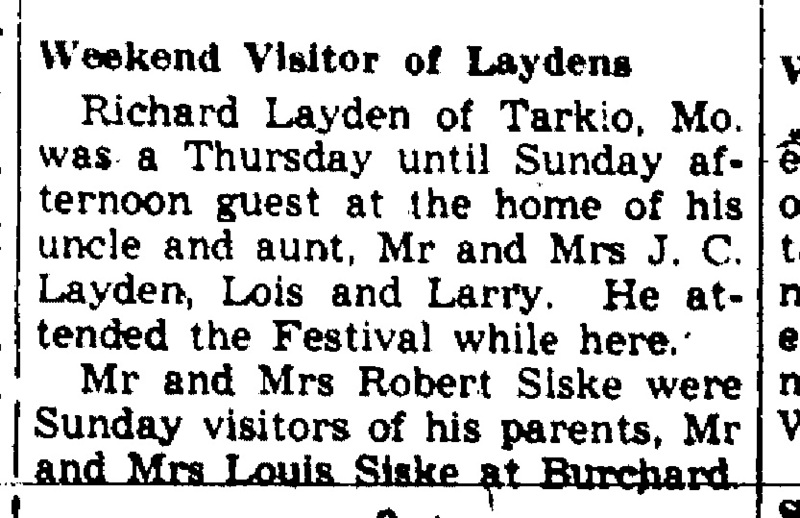 Dorothy Layden, who provided the anchor of a mother, is in the pictures below as well. His son Larry Layden is also a story teller. While J. C. articles and stories of the past were historical and told with intensity, Larry is a laid back story teller with a keen sense of humor. A collection of histories has been started on this website, but it is hard to keep up with him! 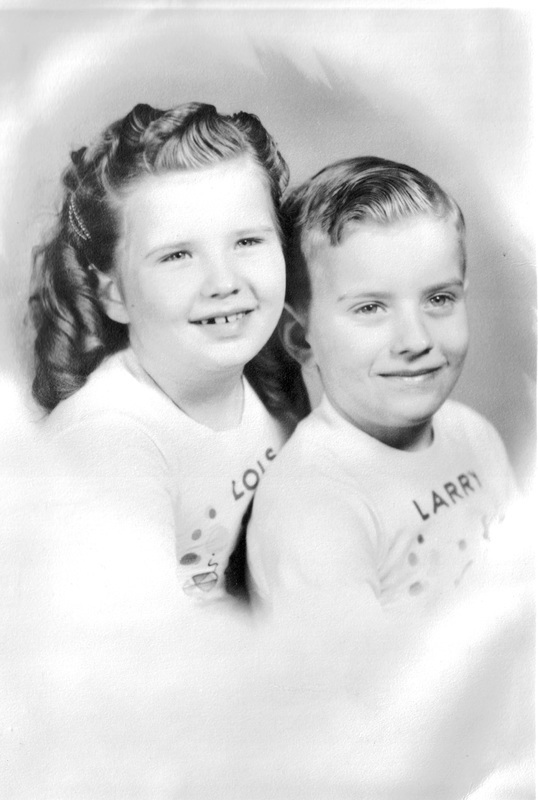 His daughter Lois, Larry's twin sister, was a sweet. lovely, and loving woman, was deeply involved in the community. She worked hard for the Methodist organizations and hardly ever missed a Legion Auxiliary meeting, all despite serious physical problems for many of her last years. She died in 2015 and is much missed. 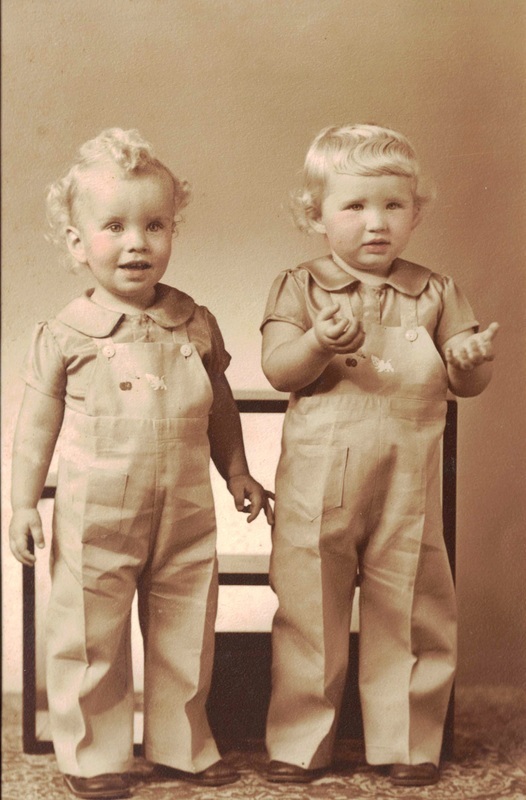 There were two other kids -- Beverly Layden Wilcox, wife of Earl Wilcox, and Betty Layden Vrtiska, wife of Lloyd Vrtiska. 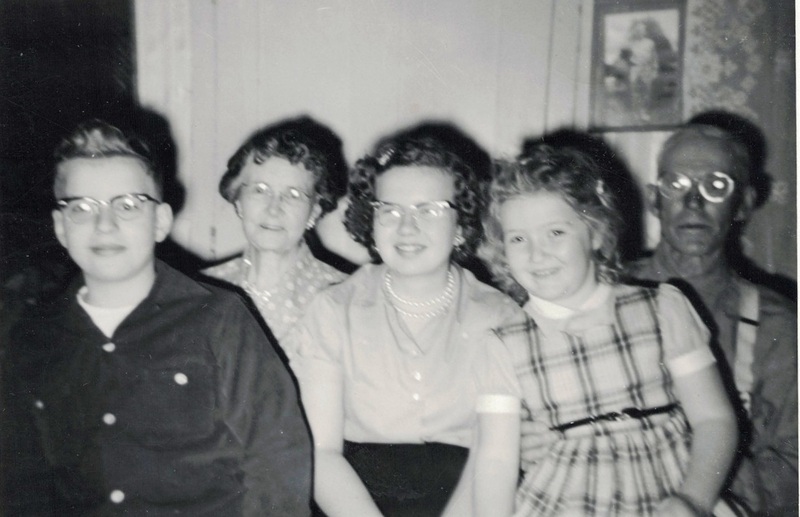 Here's the whole family with the twins: J. C. and Dorothy in the middle, blanked by Dorothy's sister Betty Layden Vrtiska on the left and Beverly Layden Wilcox on the right. 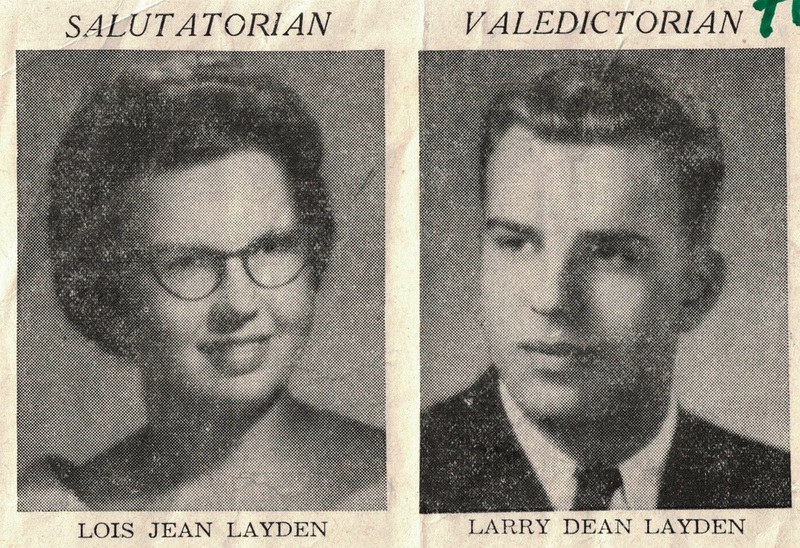 Excerpt from the commencement program for the Class of 1961. 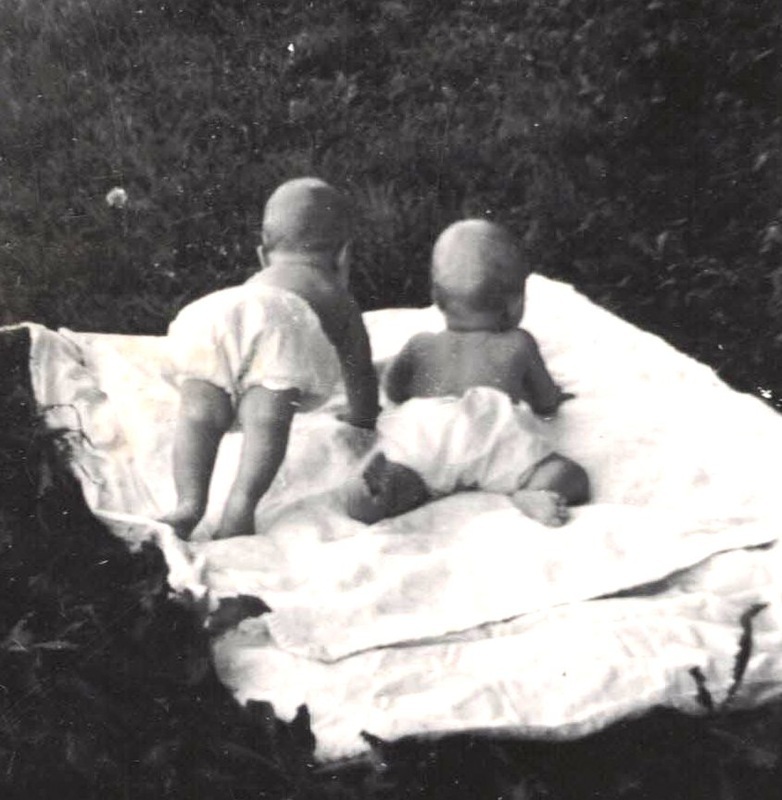 The twins were 17. 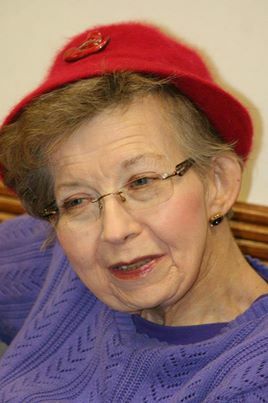 Lois in about 2015. Thanks to Sput Turnbull for this photo! 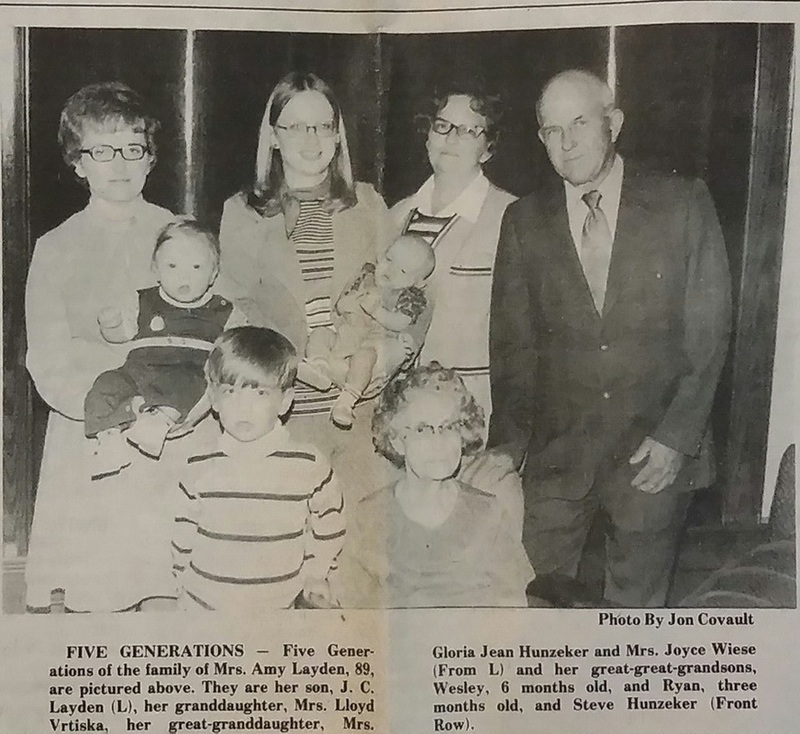 J. C. Layden, his son Larry Layden, nephew Ken Kolodzie, and granddaughter Joy Vrtiska were all train people. J. C., Larry, and Ken put in about 40 years each. The Layens have donated many many things to our collection. You can also see some of their donations at the Brownville Railroad Museum, set up in an old depot and well worth saying. In case the records are not highlighted enough elsewhere, here is a slide show with many of records recently donated by Larry and Ken. If you want to look at any particular one up close, just click on the thumbnail. Ken and Larry have also donated copies of some extraordinary maps of the railroad lines through Table Rock. They are approximately 3 foot by 10 foot so too large to be scanned, but they are available for review at any time on request. Again, where do you start? This family was always doing things. One must start somewhere, so here are some random interesting articles. 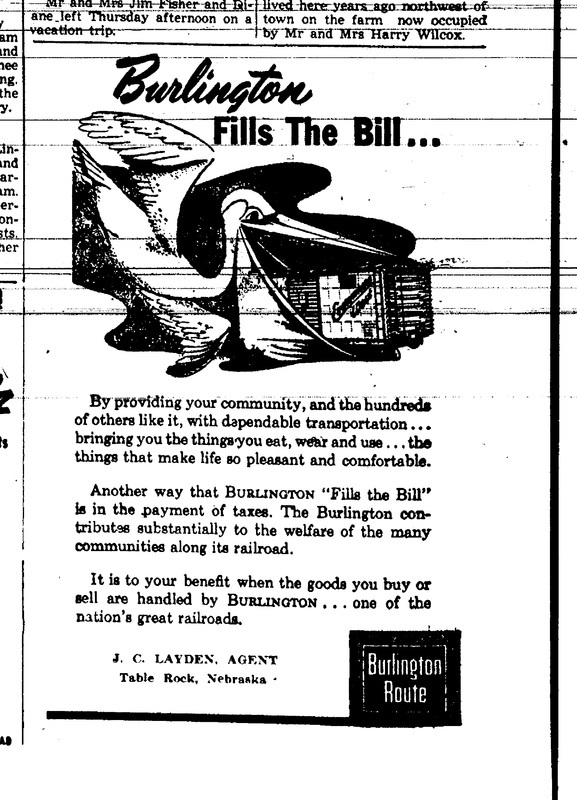 J. C. Layden, Burlington agent. 1957. 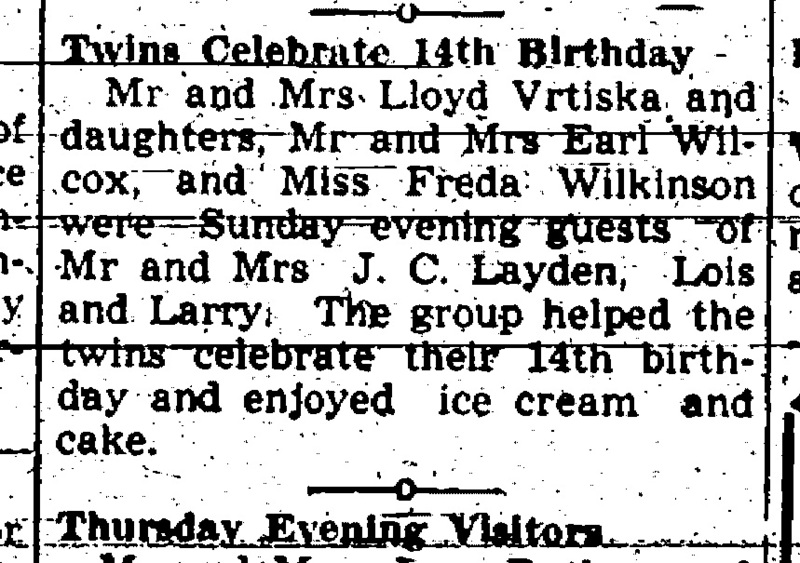 July 27, 1960 - look for Lois! J. C. Layden, freight agent. December 1964.